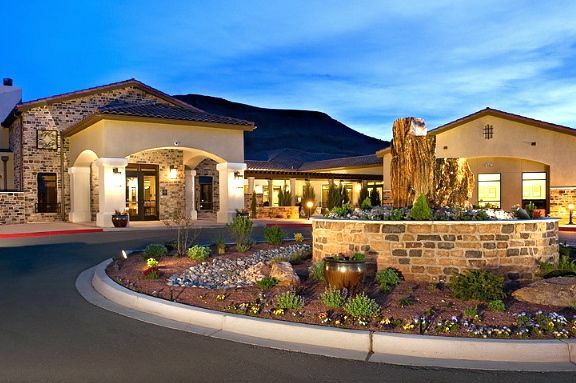 Jubilee at Los Lunas is a lifestyle community open to residents as young as age 45 near Albuquerque. Northern New Mexico offers a memorable retreat for both vacationing active adults and for those seeking a Southwestern retirement destination. Spanish-influenced architecture and historic sites blend with scenic beauty to create a spectacular backdrop, while modern attractions and resort-style communities easily support a modern active adult lifestyle. The Northern New Mexico region roughly refers to the central northern portion of the state. It is sometimes defined as beginning just south of Santa Fe, yet the region may also be said to extend as far south as Albuquerque. It generally includes the central areas of heavy Spanish settlement. To the west is the Four Corners region; to the east are the high plains of Eastern New Mexico. Surrounded by mountains and plains, Northern New Mexico generally has a warm, dry climate. Depending on the specific area, summers are hot and sunny with average high temperatures in the mid-80s to mid-90s. Although record highs typically climb over 100 degrees. Despite the hot summer months, winters are chilly and some snowfall is common. Colder temperatures and heavier snowfall are seen in more northern areas of the region. Northern New Mexico includes Los Alamos, an area nicknamed Atomic City for its role in the Manhattan Project. Visitors interested in the research and development of the atomic bomb may want to visit the Los Alamos National Laboratory and Bradbury Science Museum, as well as the Los Alamos Historical Museum. Further North, Taos County is a beautiful place for outdoor recreations. This scenic wonderland features Rio Grande del Norte National Monument, designated by President Obama in 2013. Rio Grande del Norte is a sweeping plateau cut by a deep gorge by the Rio Grande Wild and Scenic River. The spectacular scenery encompasses canyons, volcanic cones, wild rivers and native grasslands. Santa Fe is the oldest capital city in the U.S. known for its rich history and plentiful art galleries. Taos County is also home to many other unique attractions. At an elevation of 13,141 feet, Wheeler Peak is the highest point in the county and the state. Taos Pueblo, continuously inhabited for over 1,000 years, is the only living Native American community which has been designated as both a National Historic Landmark and a UNESCO World Heritage Site. Taos also features ski lodges, shopping centers, museums and performing arts centers. 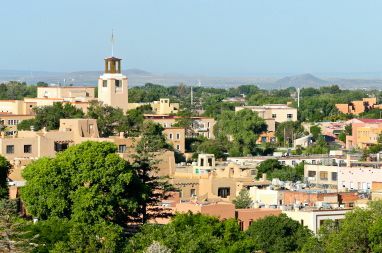 Santa Fe and Albuquerque are well-known cities which lie at the far southern edge of the Northern New Mexico region. Each of these cities are thriving tourist destinations where visitors can enjoy a number of regional attractions, including fabulous restaurants and diverse shopping districts. Santa Fe is particularly well-known as a center of arts and culture. Perhaps inspired by Georgia O'Keeffe, artists flock to Santa Fe to explore their own creativity. With its high concentration of art galleries, Canyon Road is a hot spot for artists, collectors and tourists. Active adult communities in the Northern New Mexico region include Jubilee at Los Lunas, the largest age-restricted development in the state, and Alegria, a mid-sized community on the banks of the Rio Grande. These developments are each within 30 minutes of Albuquerque, putting residents within easy access of the city's urban attractions and in close proximity to the scenic beauty throughout Northern New Mexico. Whether planning a vacation or looking for a retirement destination, Northern New Mexico is an ideal retreat for outdoor lovers who enjoy both sunny summer days and snowy winter recreations.